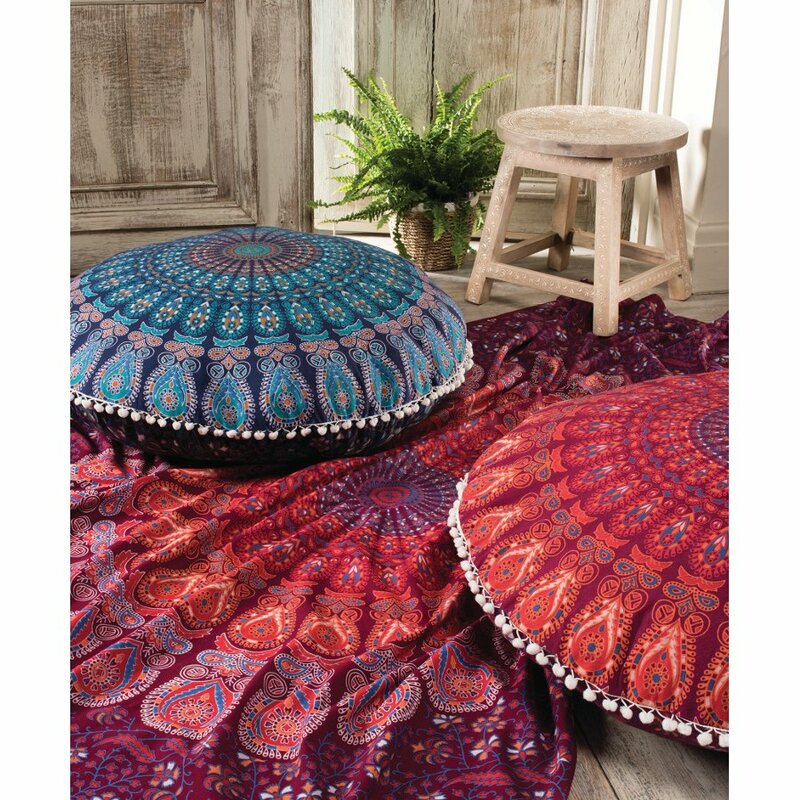 This soft floor cushion is made by fair trade producers in India using 100% cotton. 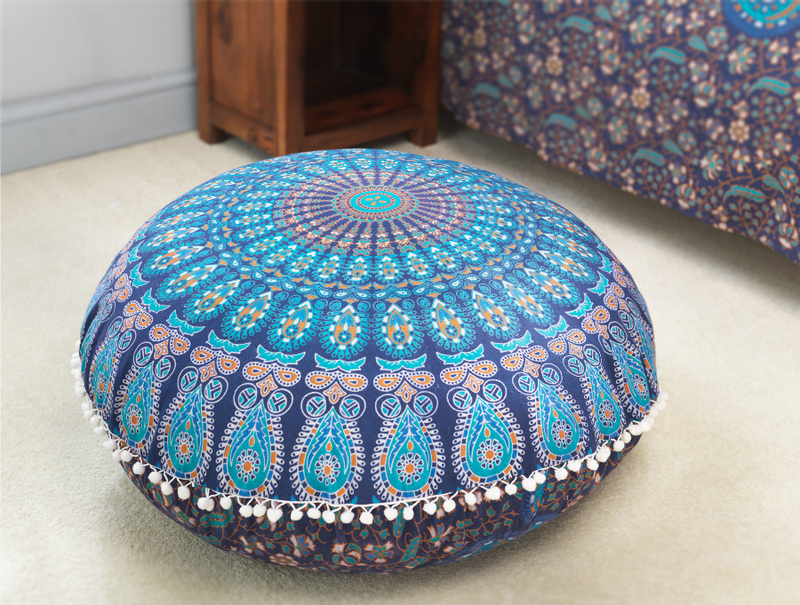 It is hand silk printed with a stunning turquoise peacock print and features pom poms around the edge. 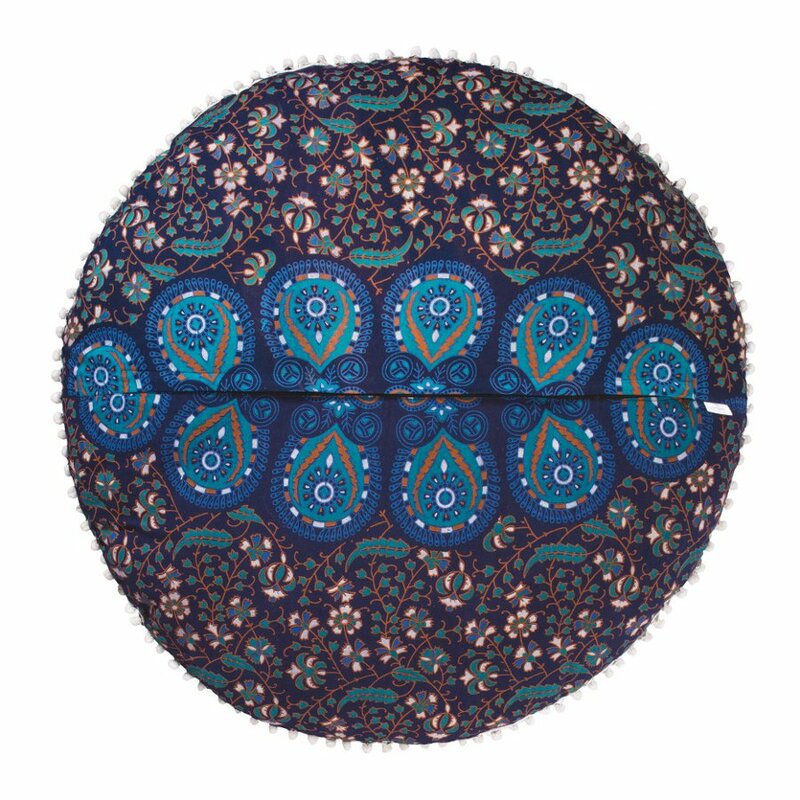 The handmade cushion cover has a zip closure at the back along with a contrasting print. 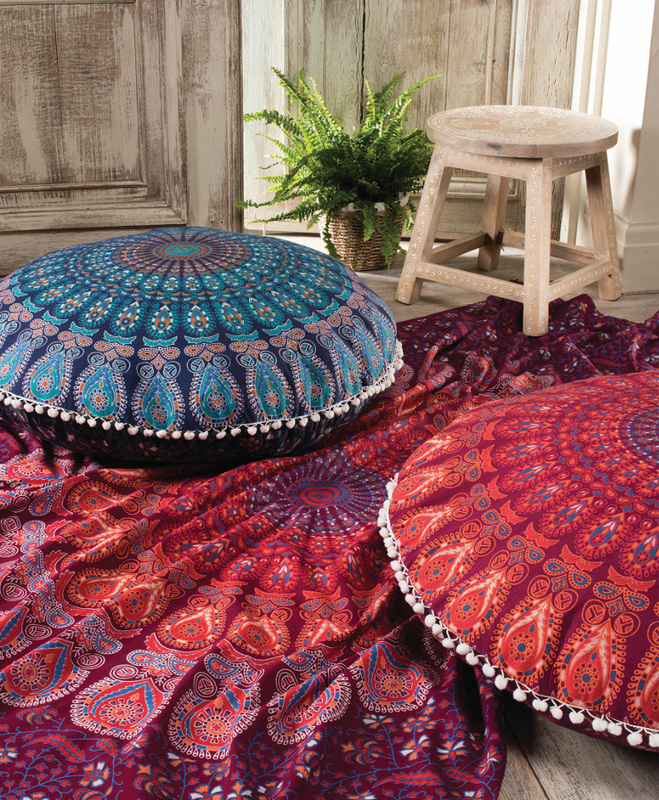 Cushion inner included. Suitable for vegans. 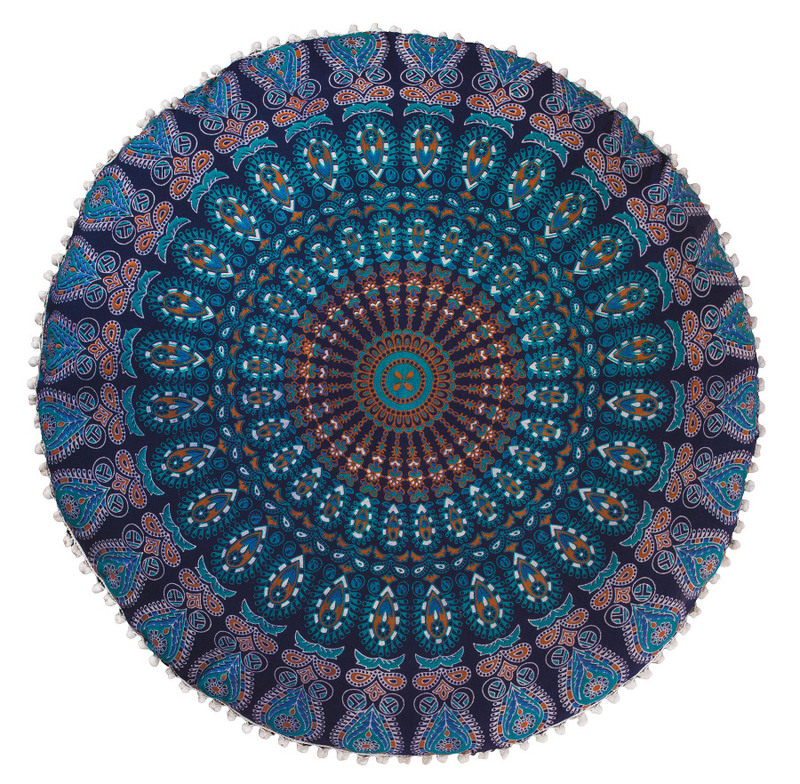 100% cotton with 100% polyester inner. 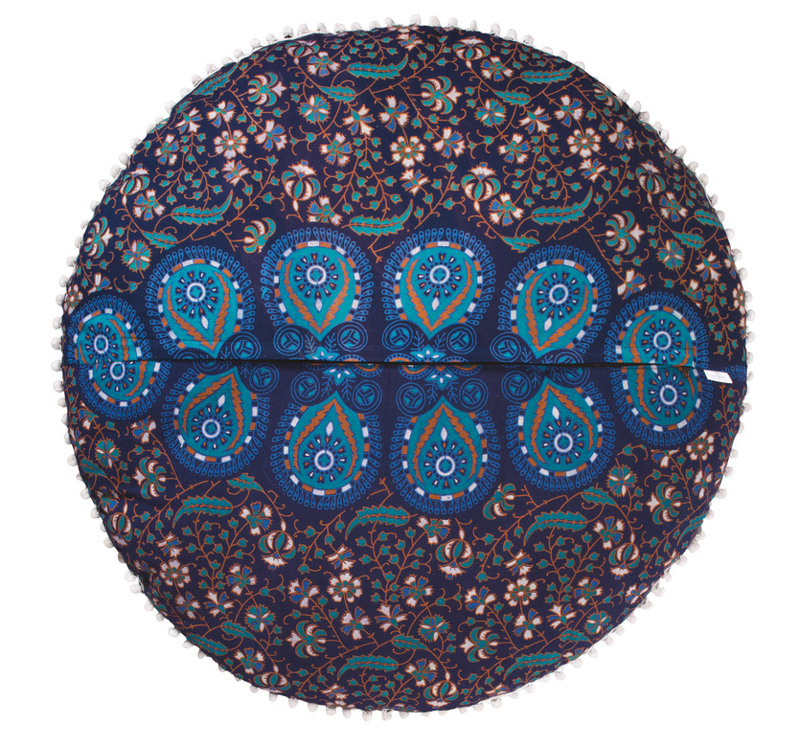 The Peacock Print Floor Cushion - Turquoise product ethics are indicated below. To learn more about these product ethics and to see related products, follow the links below. Nice pattern / colour, v.bright, but fabric is thin so I'm not sure it'll be very hard wearing. 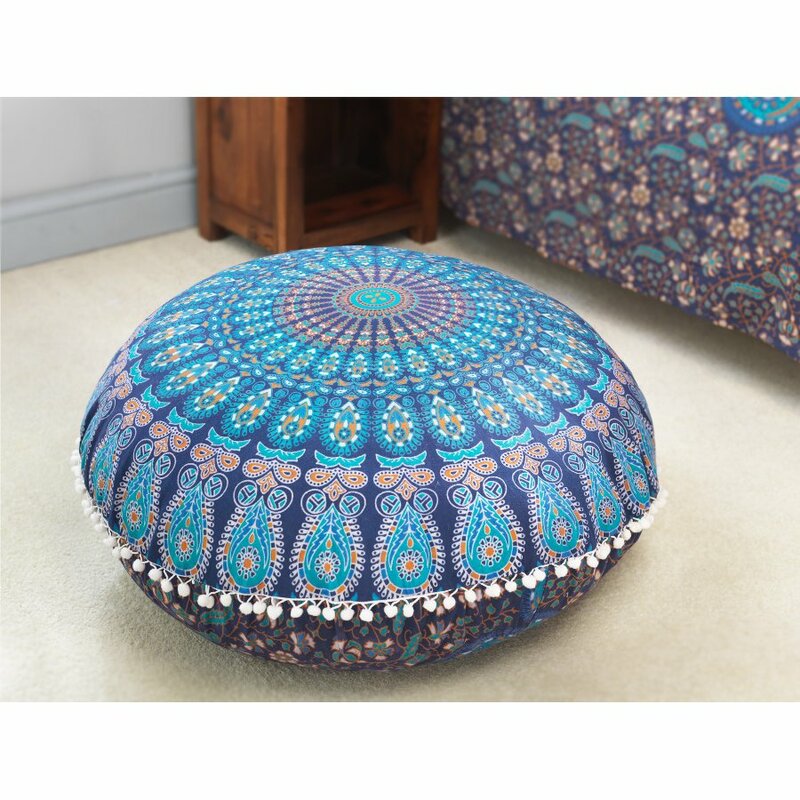 Also, inner cushion is so soft that when you sit on you're very low to floor, so stuffed instead with some reclaimed, (yet still ghastly) polystyrene balls from a beanbag, to plump it up. 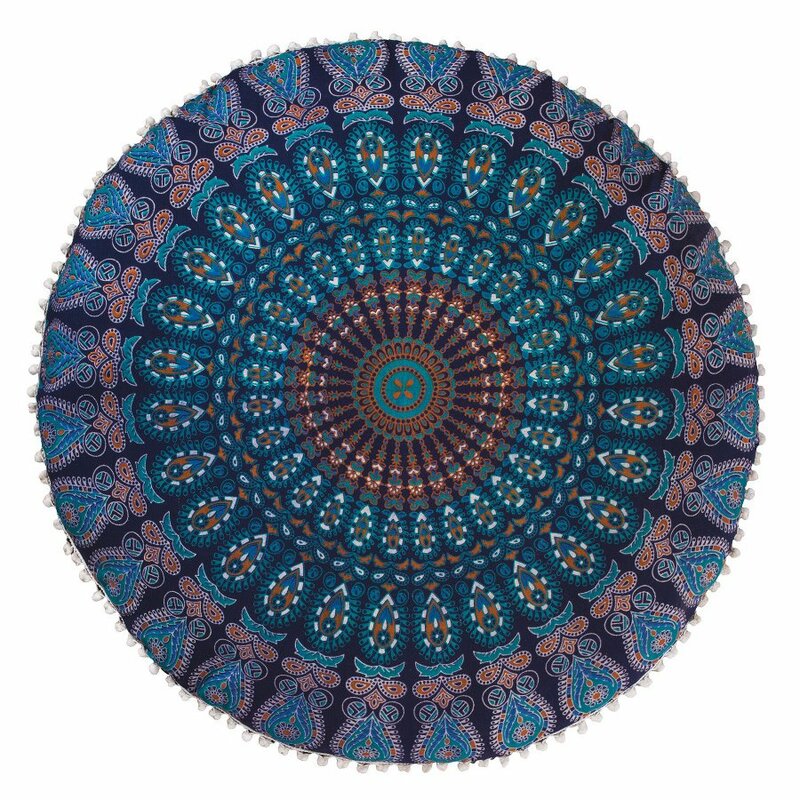 There are currently no questions to display about Peacock Print Floor Cushion - Turquoise.